Indulge this holiday season with drinks and desserts inspired by one of the world’s most romantic flavors. Tamarack Taproom’s Mile High French Silk Pie and Irish coffee. The box of chocolates is a staple this time of year. But if you’re looking for a way to up the ante or sweeten the Valentine’s deal, so to speak, then consider a twist on date night this year. Follow this magical trail of chocolate to any amount for an indulgent adventure in chocolate flavor profiles. A go-to at many a bar is a chocolate martini, otherwise known as “dessert in a glass,” but there are few that rise to the occasion as well as the craft masters at Crave American Kitchen and Sushi. Godiva coffee liqueur, Bailey’s Irish cream and Stoli Vanil vodka are shaken with a bit of chocolate sauce, then gently poured into a chocolate syrup-swirled martini glass ($11.25). 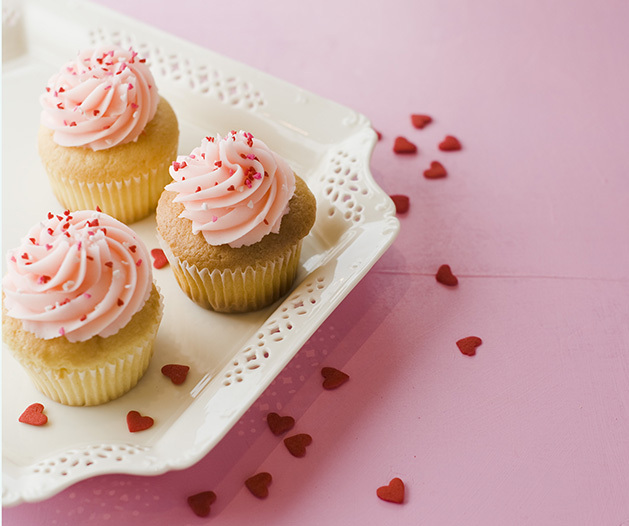 Be careful and indulge in just one—these will sneak up on you! Nadia Cakes’ cupcakes are as beautiful as they are tasty. Start your evening off right with a not-so-traditional holiday bouquet, by way of chocolate cupcakes decorated to look like roses. This surprising sweet twist offers the opportunity to be so many things—Nadia’s decadent Chocolate Knight cupcakes (classic chocolate cake frosted with traditional cream cheese frosting and drizzled with dark chocolate and crisp chocolate pearls), the Triple Chocolate cupcakes (same chocolate cake and icing but with Callebaut chocolate topped with white and dark chocolate chips and drizzle), even the vegan/gluten/dairy-free chocolate cupcakes all make a great base for this specialty gift. A note on ordering: Nadia Cakes takes orders in-store or over the phone. Give a week’s notice—or longer for a more customized creation. 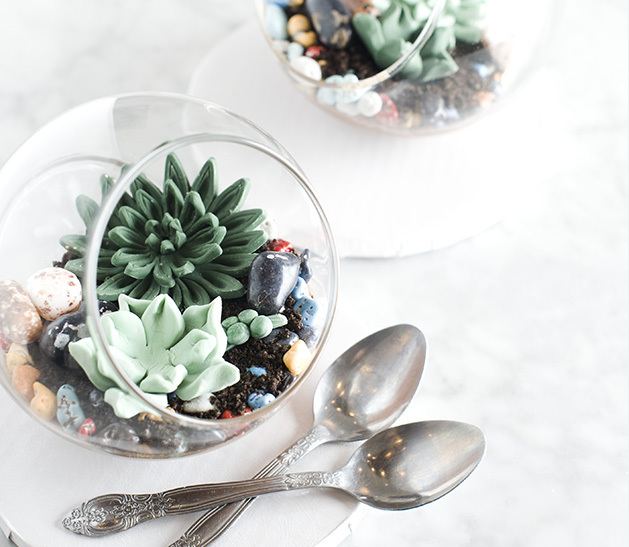 A special new treat from Nadia Cakes are these whimsical, edible chocolate terrariums. Map out your tour de chocolat for your next decadent date night.